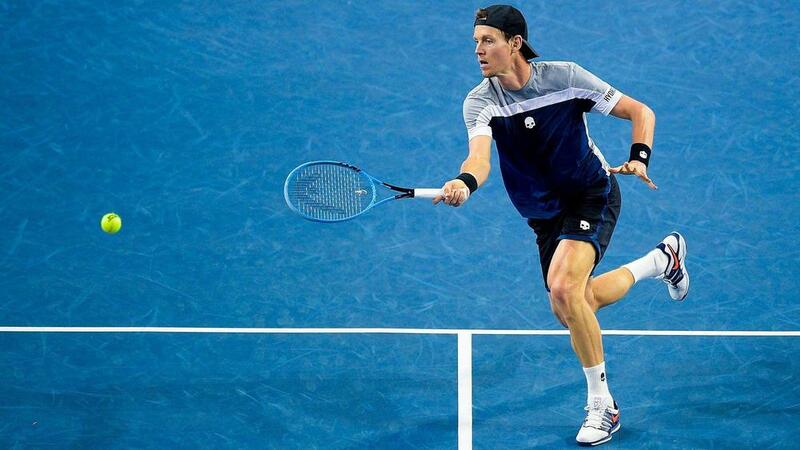 Tomas Berdych fought off two match points against Filip Krajinovic to secure semifinal spot in Montpellier. At the Open Sud de France in Montpellier, 2012 winner Tomas Berdych fought off two match points to secure a 7-6 (7-3) 6-7 (5-7) 7-5 win over Filip Krajinovic. Berdych was 3-5 15-40 down on his own serve in the deciding set and staring elimination in the face but recovered to hold before breaking Krajinovic in each of his next two service games to advance to the semis. The Czech's last-four opponent will be seventh seed Pierre-Hugues Herbert, who ousted Denis Shapovalov 7-5 7-6 (7-4). In an all-French affair, Jo-Wilfried Tsonga defeated Jeremy Chardy 6-7 (6-8) 7-6 (7-4) 6-4 to book a showdown with Radu Albot, who got the better of Marcos Baghdatis 6-2 7-6 (7-2).